In large bowl, mix all ingredients except dressing and pine nuts; drizzle with dressing and toss until coated. 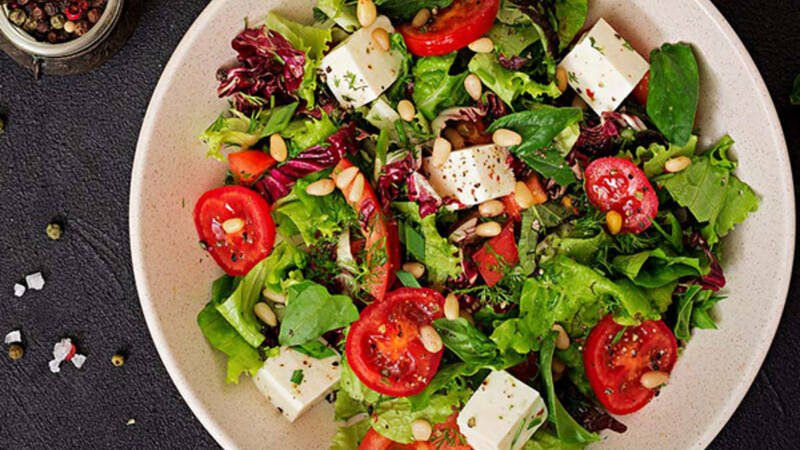 Divide salad among 6 bowls; sprinkle with pine nuts. Variation: Add chopped deli rotisserie chicken to make this a main-dish salad.